In 2016, the mayor of London, Sadiq Khan, decided to implement an innovation that would make the economy of the city be active 24/7. London got itself a “night czar”, a person who is responsible for the promotion of the city’s nightlife. 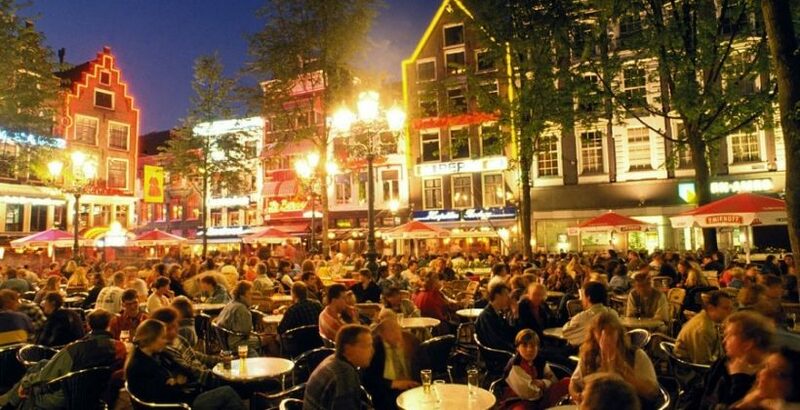 The night-time economy circulates with over £26 billion, so it’s a pretty big responsibility. There were hundreds of people who applied for the job of London’s night czar that year. The final winner was Amy Lamé, she’s a public personality most noticeable in radio and television appearances. She got a £35,000 salary a month, but her working time is be only two and a half days a week, which must be a part of Friday, and full Saturday and Sunday. Choosing a night mayor also helped Khan a lot with his status. One of the election pledges of London’s mayor was to improve nightlife of the city and support the industry. Besides, he run a “London is Open” campaign, which is specialized in keeping the city entrepreneurship-friendly and welcoming to new creative ideas. Actually, Khan’s idea is based on Amsterdam’s experience. The city got its first night mayor in 2003, because the nightlife of the city had ill fame and was despised by many. So nightlife industry leaders and the government decided to unite their powers and do something to improve the situation. And so the position of a night mayor was created, advocating economy during the night and helping different interest groups talk to each other peacefully. Mirik Milan was chosen as night mayor of Amsterdam in 2012. He’s an active night club promoter and it’s noticeable that he loves his job, as he supports nightlife of the city as hard as he can. He’s offered promotion projects a lot by different night clubs and other night-time facilities, but he’s not only responsible for marketing. He has successfully campaigned for 24-hour licenses, for example. Besides, Milan supports other cities in their ambitions of improving the quality of their nightlife and getting a night mayor. He was a host of an international conference about nightlife and night mayors and encouraged a lot of cities to at least think about creating such a post. In 2018, a new mayor was chosen – Shamiro van der Geld. He has big shoes to fill, but there are special goals he wants to achieve, the main being improving the diversity issue in the current nightlife industry.